Huangqiao sesame pancake is an ancient traditional snack. It belongs to Jiangsu cuisine and is included in the state banquet. It is produced in Huangqiao Town of Jiangsu Taixing. 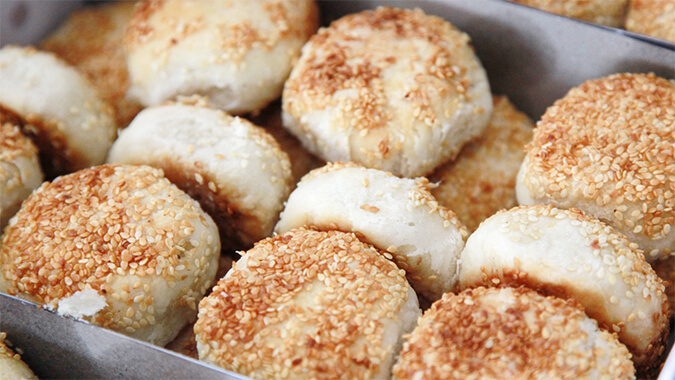 Huangqiao sesame pancake is an ancient traditional snack. It belongs to Jiangsu cuisine and is included in the state banquet. It is produced in Huangqiao Town of Jiangsu Taixing. In 2003, it was awarded the title of “Chinese National Snack”. In 2005, it was awarded as Taizhou famous brand product. It is one of Jiangsu specialty snacks. The production process of Huangqiao sesame pancake is quite unique. The main raw materials are flour, lard, peanut oil and sesame. The flour used must be medium strength and the sesame used must be peeled. It is very particular from the beginning of kneading the dough. The stuffing and crispy are made by mixing the flour with lard and peanut oil. 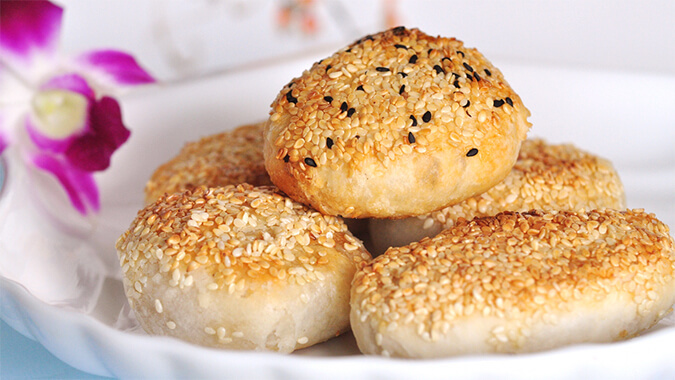 Huangqiao sesame pancake can be round, rectangular, oval, and beveled with 5 shapes in total. At present, Huangqiao Sesame Pancake Shop normally sells two kinds of round and oval, which are both salty and sweet, and also have stuffing. The stuffing is made of ham or lard. The sesame cake is roasted in a furnace, which crispy and golden, sweet-smelling and delicious. 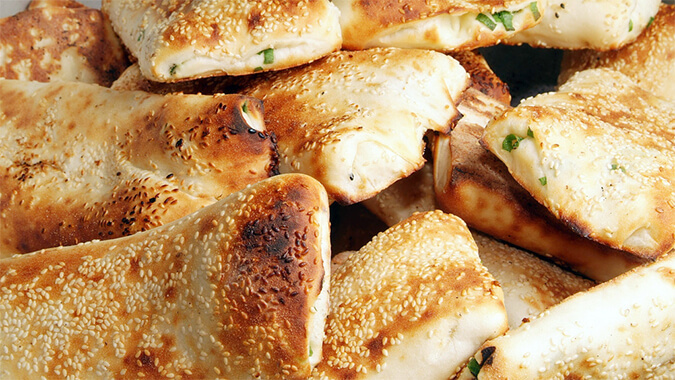 Huangqiao sesame pancake has a unique flavor, and its color and aroma are different from ordinary snacks. 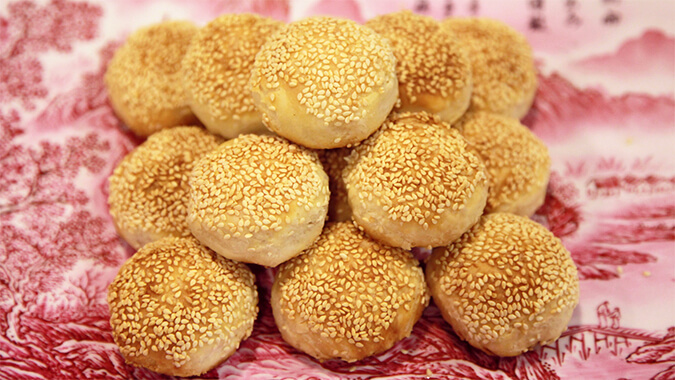 It has the traditional characteristics of “crispy and two-side golden with sesame outside and butter inside”. The shape is full and beautiful, the color is golden like a crab shell, and it is not burnt, not oily, and not greasy. When bite it, you will feel full of crispy and great taste.